Should I Pay Off My Home or Deposit Into My Super? http://www.indigofinance.com.au/wp-content/uploads/2017/03/default-v2.jpg 198 300 wsadmin http://www.indigofinance.com.au/wp-content/uploads/2017/01/indigo-finance-logo.png wsadmin2015-09-24 02:14:332017-03-09 02:36:51Should I Pay Off My Home or Deposit Into My Super? It all depends on your circumstances. Variable and fixed loans have their advantages and disadvantages so it’s imperative to consider these before making a decision. A number of lenders have recently reduced their fixed rate loans and there are even a couple of lenders that allow you to redraw the excess payments during the fixed term! http://www.indigofinance.com.au/wp-content/uploads/2017/03/default-v2.jpg 198 300 wsadmin http://www.indigofinance.com.au/wp-content/uploads/2017/01/indigo-finance-logo.png wsadmin2015-09-17 02:14:042017-03-09 02:36:56Is it the Right Time to Fix My Interest Rate? Steps to Successful Property Investment. Property has been considered a popular path to wealth for Australisn for many years. However, when buying an investment property, it is wise to remember that you are making a business decision and it’s worth taking the time to plan. http://www.indigofinance.com.au/wp-content/uploads/2017/03/default-v2.jpg 198 300 wsadmin http://www.indigofinance.com.au/wp-content/uploads/2017/01/indigo-finance-logo.png wsadmin2015-09-10 02:13:402017-03-09 02:37:01Steps to Successful Property Investment. The trend for Gen Ys to stay at home well into their 20s – and beyond – is having a significant knock on effect: a generation of adults lacking financial skills and parents looking at working well into their 70s to make up for the additional expense of kids at home. Are you Better Off as a Home Owner or a Renter? According to research from the final quarter of last year, renters were reported to have the greatest decline in financial stability while home owners were reported to have the greatest savings of all time. So, when is it better to rent than to be a home owner? http://www.indigofinance.com.au/wp-content/uploads/2017/03/default-v2.jpg 198 300 wsadmin http://www.indigofinance.com.au/wp-content/uploads/2017/01/indigo-finance-logo.png wsadmin2015-09-03 02:12:552017-03-09 02:37:09Are you Better Off as a Home Owner or a Renter? 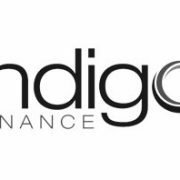 http://www.indigofinance.com.au/wp-content/uploads/2017/03/default-v2.jpg 198 300 wsadmin http://www.indigofinance.com.au/wp-content/uploads/2017/01/indigo-finance-logo.png wsadmin2015-09-03 02:12:062017-03-09 02:37:41Are you Better Off as a Home Owner or a Renter?